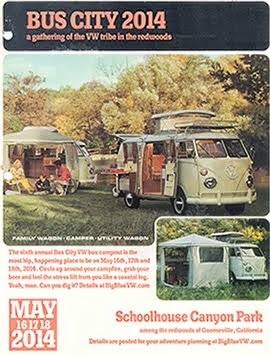 Lately VW folks probably couldn't help but notice the efforts of Carole Brown and her "Yes We Can" Camper Van (the bus is actually named Dexter). Spend any time at all lately in the online communities and she's sure to pop up - pushing a cause that very few people know about. 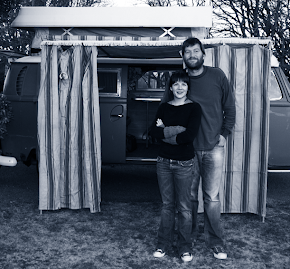 During the summer, she reached out to VW communities across the country to help her promote her roadtrip to raise awareness. Well, Carole is now on her way. 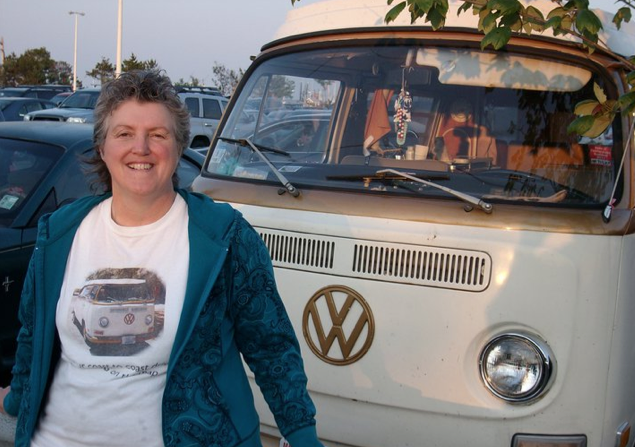 She has hit the road in her 1971 Westfalia to promote awareness of Myasthenia Gravis, commonly (if I can say that about an uncommon disorder) referred to as "MG". Until Wikipedia shuts down, you can read up on it here. I must say that I am impressed with the support. Carole is no VW mechanic. And sometimes the VW community seems to collectively sigh when someone with no mechanical awareness embarks on such an adventure in an old VW. But that hasn't happened in Carole's case. And I'm glad to see the community embracing her. 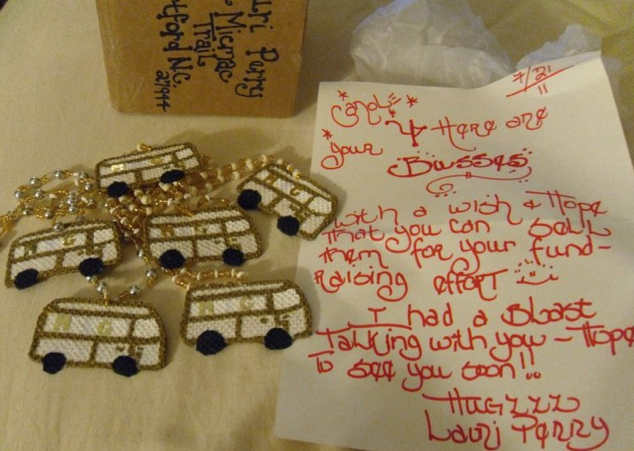 There have been breakdowns, but people from the VW world - including Wolfsburg West, The Full Moon Bus Club, Jimmy Pierce of Pierce Automotive - a VW shop on Montgomery, Alabama, Laura Anne (who writes at Laura's 78 Westy) and many others - are pitching in to help her make her way. A few months back, I had the chance to email with Carole. I wanted to get some basics down on why she is doing what she is doing. As you'll see below, she has a very good reason. Big Blue's Driver: Why MG? Carole Brown: Personal reason - my Mum got this disease at age 20 and almost died before she was diagnosed, since it is so rare and so few neurologists have seen a person with MG.
My Mum was 30 when she had me and 34 when she had my brother, so we only ever knew her when she was ill with MG.
Until recently I couldn't look at my parents wedding photos because my Mum had changed from a real beauty to a person who looked twice her age, with hollow eyes and sunken cheeks. She said the saddest thing for her was that she couldn't smile anymore. The way I think about it is this is an awful disease with no cure, and if that's not bad enough, people with symptoms can take years (one story I read it was 5 years!) to get diagnosed by which time they are more ill and also affected by being undermined every time they tried to explain what was happening to their bodies. I've read stories where people were told to go home because it was all in their head and they just wanted attention. Others where people were only taken seriously when they had been admitted to intensive care due to breathing difficulties (this happens when MG is severe and untreated). To me the biggest reason for raising awareness is that people could be tested for MG early on and not after years of presenting with odd symptoms that doctors do not recognise. If the public know of it, they can ask their doctor to check or ask the national charity, the MGFA, for a list of neurologists who know the disease. Another reason is that through better appreciation of the disease by the general public, people with MG are likely to feel more understood and accepted, helping them to regain their self esteem and self confidence - making a huge difference to their lives. Researching the disease recently I have found some improvements in treatment but there is no cure for this rare autoimmune disease. The info' on MG on the internet makes it sound an OK disease but it's not. If you look at groups on Facebook you will see from the online discussions how hard it is for people to manage every day life. MGers are stared at by the public because they often have droopy eyelids and sometimes look unusual due to weakness in the eye and facial muscles. My mother was very self conscious and would not go out to restaurants to eat because she had difficulty chewing and swallowing - a common symptom. It's also upsetting for people with MG to be asked if they are drunk. This happens because they can have slurred speech due to weakness in their facial muscles and difficulty walking without swaying, because of weak legs. Muscle fatigue occurs in a person with MG much more quickly than in a healthy person and only through drugs do MGers regain some muscle strength. So these are some of the reasons for wanting to raise awareness. By making people aware of this little known disease we could have a massive impact on quicker diagnosis and treatment, and on the way we behave around people with this disease. How are you planning on raising awareness? c) use my VW van to raise visibility for the name MG by driving about 6000 miles across country displaying a logo on the side and inviting anyone who sees us on the road or parked to call their local radio station, tweet, Facebook etc. My oh my, it was ages ago we spoke, so to see this today is quite a surprise and a nice Christmas present - thank you. Since I spoke to you, there is a new website which talks a little about my reasons for the drive, describes symptoms and signs of MG, and also shows our current southern route from MA to CA. We'll be touring CA and AZ over the winter months and then in April will head back to MA via route 66 and Chicago - again to raise the visibility and awareness of MG.
P.S. I am getting better at the mechanics (corrected the accelerator cable sticking again this week) and will be learning over the winter months how to take out the engine. The biggest problem I have is that suddenly my joints are painfully arthritic and that's not conducive to working on the VW. When I told my physical therapist that I'd tried to get under my bus to adjust the clutch cable (before I left MA) he asked me how on earth I'd gotten up again with such a bad knee. I avoided answering and said I had to get my left knee into shape for the drive, at which point he shrieked "You're not driving a stick shift are you?" "Of course, I wouldn't be seen dead driving an automatic" I replied. My passion is driving and the VW family is so great supporting me in this cause by keeping me on the road. I hugely appreciate their kindness and generosity, and I'll enjoy repaying their hospitality when they visit me in Cape Cod or London in future years as my guests.